Can Heat Therapy Reduce Fibromyalgia Pain? Learn about auto immune disease! The inventor of the Lava Vessel, Mr. Chen Hung Lieh, first met Mr. Takagi of the Japanese Nuclear Energy Council in 1996 and learned about the extraordinary power of Lava Energy Rocks, which are mined from Mt. Dekiyamakouzan in Aichi Prefecture, Japan. Mr. Chen was interested in the properties of these special rocks, and in 1998 began looking at exploiting these unique properties to improve the effectiveness of traditional Chinese heat therapy. His endeavors led him through various approaches to deliver the benefits of Lava Energy Rocks, resulting in the current Lava Vessel approach. In 1994, Mr. Chen’s father, who was then aged 78, fell down a flight of stairs and his injuries left him wheelchair-bound. For three years, he suffered from chronic pain and general health deterioration, and had to see doctors once or twice a week. Mr. Chen decided to try the Lava Energy Rocks therapy approach on his father. Three months after such therapy sessions, his father’s pain eased significantly and his general health improved to a point where he was able to leave his wheelchair, walk on his own, and resume normal activities. Much more than the medical benefits, Mr. Chen was impressed by his father’s transformation from suffering a debilitating injury to regaining his cheerful outlook on life. Encouraged by what he saw, Mr. Chen decided to invest all he had to further develop the Lava Energy Rock therapy approach for chronic diseases. As Mr. Chen was near retirement, his family and friends thought that such an endeavor would be too risky for him. His father was the lone exception, and even contributed his own life savings — all for the cause of “breaking through the impasse that the medical field faces in the treatment of chronic disease”– in order to come up with a therapy that would be gentle and effective, but without side effects. As Mr. Chen’s research and development progressed, his father would often inquire about study subjects’ reactions to therapy. Seeing his own father’s eagerness helped to sustain Mr. Chen’s drive for a breakthrough. Ping Ping ran into Lava vessels while developing her anti-corrosion coating business in China and Taiwan and was soon convinced of the therapy’s effectiveness. 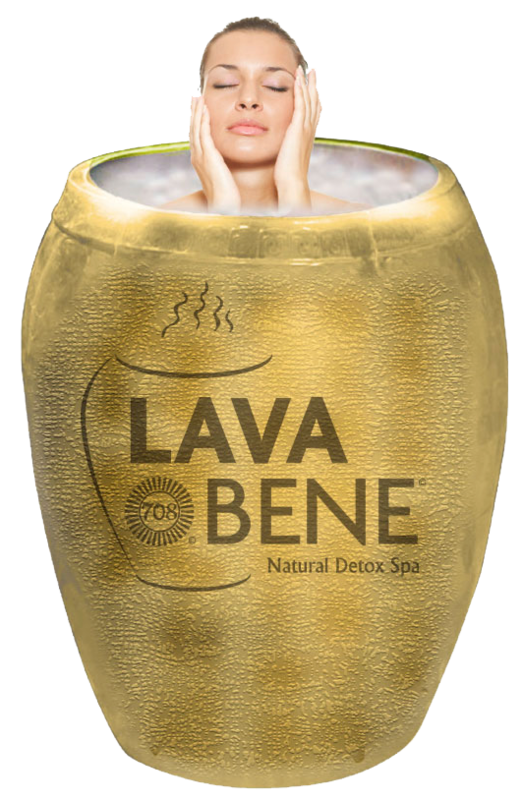 Wanting the natural, non-invasive therapy to become available in the US to help the numerous sufferers of chronic conditions there, she opened the first LavaBene spa in the US in Houston, Texas in November 2013 as a first step in her quest to introducing Lava vessels to the US. She then opened the Pearland location in January 2017. LavaBene has been in business for over five years, and has served more than 7,000 clients. While those who have tried LavaBene treatments can attest to its effectiveness, convincing those who have yet try it is more challenging than one would hope. 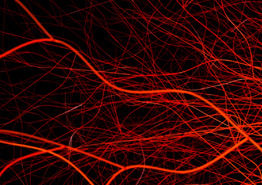 At issue is really a matter of Western versus Eastern medicine thinking. Western medicine traditionally focuses on treating symptoms, whereas Eastern medicine focuses on addressing root causes. The concept of health-Raise wellness is also quite different from the Western’s. 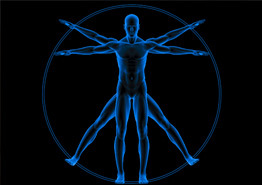 Chronic conditions are a realm in which Western medicine has not traditionally focused. 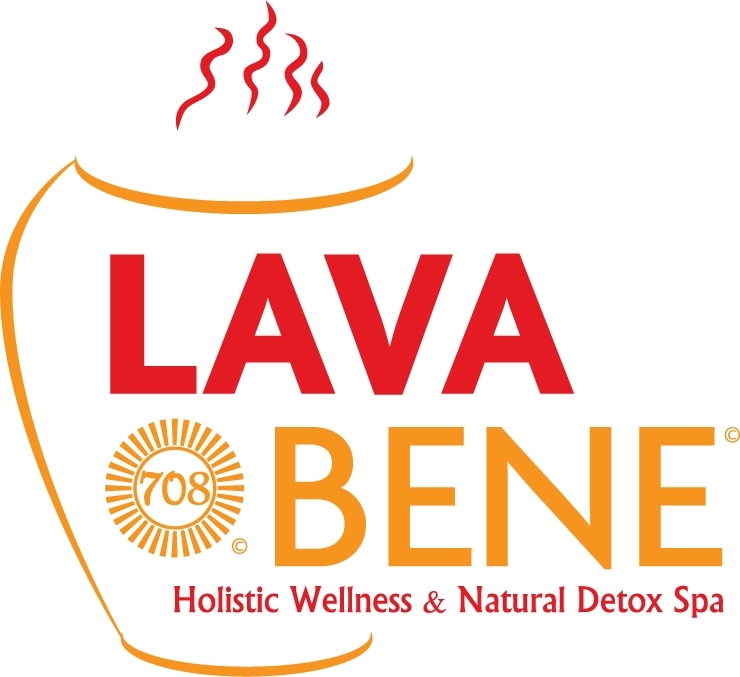 Having been developed in an Eastern medicine tradition, LavaBene takes a different approach towards health. It considers causes and effects holistically in order to prevent ailments and maintain health. This is a key reason why Eastern medicine tends to produce holistic, natural, and non-invasive remedies that have few significant side-effects. Having seen with her own eyes with Lava vessel’s effectiveness, Ping Ping has a burning desire to bring the therapy to more people, detoxing them and helping them get better. Building and expanding the LavaBene business would be a sure way to help even more people. Establishing networks and partnerships would be a key part of doing so, which can be concludes as a need to revolutionize our thinking in health : Treat illness and Raise Wellness. Ping Ping is still searching for and finding the best and most holistic therapy products from Asia to include in LavaBene’s services in order to reduce the time of struggle and misery for unhealthy individuals. Ping Ping graduated from the University of Houston-Clear Lake with a BA in Computer Information System and studied in MBA program at the University of St. Thomas. She is also the President of Parapet, Inc., head office in Shanghai, China, a company exclusively representing proprietary Texas based anti-corrosion coating products for all construction including concrete and metal for the Asia market. She lives in Sugar Land, Texas, USA, and is fluent in both Chinese and English. Lava Vessel’s wide-ranging effectiveness turns out to be beyond anything Mr. Chen could have imagined at the outset. In the early summer of 1978, while searching for “cement coagulant” substances, a NASA satellite accidentally discovered that Dekiyamakouzan Mountain of Japan contains only anions (more commonly known as negative ions), but no positively charged ions. 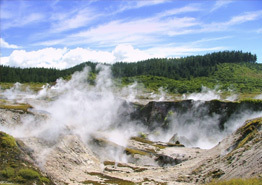 Subsequent exploration found that Dekiyamakouzan Mountain in Aichi, Japan is rich in minerals with high levels of anions and far-infrared. 708 is the number given to this mine by the Japan government. Japanese Lava tourmaline originated as mud 3,000 meters below sea-level. It was formed through volcanic activity and millions of years of movement in the earth, which melted, compressed and compacted the mud into a hard crystalline tourmaline within which powerful energy was sealed. This unique tourmaline possesses abundant anions, far-infrared, and electrolysis which are beneficial to the human body. Its anion content is twelve times that of Maifanite in China, seven times that of hornblende and obsidian in Europe, and four times that of black bamboo carbon. The well-known Brazilian tourmaline can produce 6,500 anions/second/cm3 of boiled water when the tourmaline and boiled water mixing ratio is ideal, while Japanese Lava tourmaline can produce 7,500 anions. Only the unique Japanese Lava tourmaline offers the highest health benefits. In 2005 Mr. Chen received honorary recognition as a doctor of Natural Medicine from the World Organization of Natural Medicine Practitioners (WONMP) for the invention of his therapeutic vessel. In 2007, the “Steam and hot-air bath appliance” won the “bronze medaille verliehen” from IENA, Germany. Mr. Chen’s vessel is patented in Taiwan and in mainland China. In 2012, a patent application was submitted in the United States for the vessel, now under the name of Ping Ping Lin. Use of the Lava Vessel has helped people to improve general health and derive relief from their chronic conditions. We look forward to doing the same for many more people in the United States and beyond. Please note that no claim is made that LavaBene® is a treatment for any medical condition. Rather LavaBene® is meant to help to improve general health. Improvements in medical conditions cited are only associative observations, not assertions of causation.